L-R: Ronnie, Paul, Sonja, Patrick. 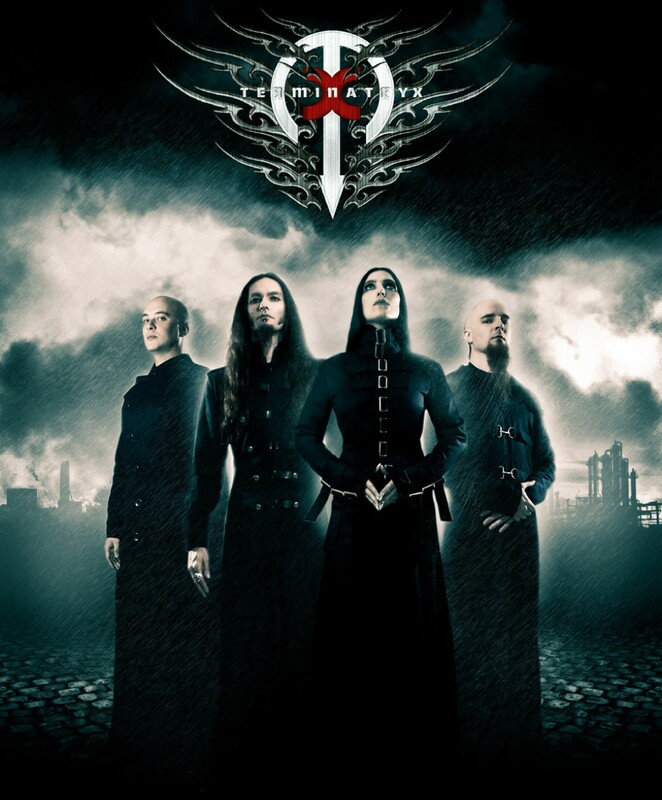 TERMINATRYX is a female-fronted Industrial-Metal / Alternative band from that paradox known as South Africa. Established in 2002, the band has released two studio albums, a remix album and a DVD, performed across South Africa and in Germany, supported international acts like Ministry, VNV Nation, Diary Of Dreams, and produce their own (award winning) music videos.